Good Day Friends. How is everyone doing? I hope all is well. I was recently contacted to share another individual's story. This will be the last time I shall be posting on this matter. But today I would like to introduce you to Katherine. Katherine Keys received a devastating diagnosis of mesothelioma, an aggressive cancer with nearly no hope of survival, nearly ten years ago. Today, after a difficult battle with the cancer, and with the support of a great medical team and her family, Katherine lives with some physical limitations, but hope and gratitude. Katherine’s journey from diagnosis to remission began one day when she first noticed some of the symptoms of mesothelioma. Unfortunately these symptoms can be misleading. They often mimic much less serious and more common illnesses. Katherine simply thought she had the flu, with a cough and difficulty breathing. Mesothelioma has a long latency period. While people like Katherine are experiencing symptoms that don’t feel that serious, the cancer is developing in the pleura, the lining of the lungs and chest cavity. Asbestos exposure most often causes this type of cancer, but by the time a person gets a diagnosis, it is usually decades after that exposure occurred. Katherine was luckier than most, and she received her diagnosis while the cancer was still in stage I. Even with a diagnosis of stage I mesothelioma, the earliest stage of the disease when the cancer has not yet spread too far, the prognosis is not usually very good. A hope of being able to achieve remission through treatment is still minimal at this early stage. Katherine was just 49 years old at the time of her diagnosis and she was not ready to give into the disease and the poor prognosis without a fight. She chose to go with the most aggressive treatment to have the best chance of survival and remission. Katherine underwent a radical type of surgery called an extrapleural pneumonectomy. It involved the aggressive removal of much of the tissue on one side of her chest cavity. She had the pleura removed, an entire lung, and part of her diaphragm. She then received radiation therapy after surgery to increase the chance of remission by killing any remaining cancer cells. 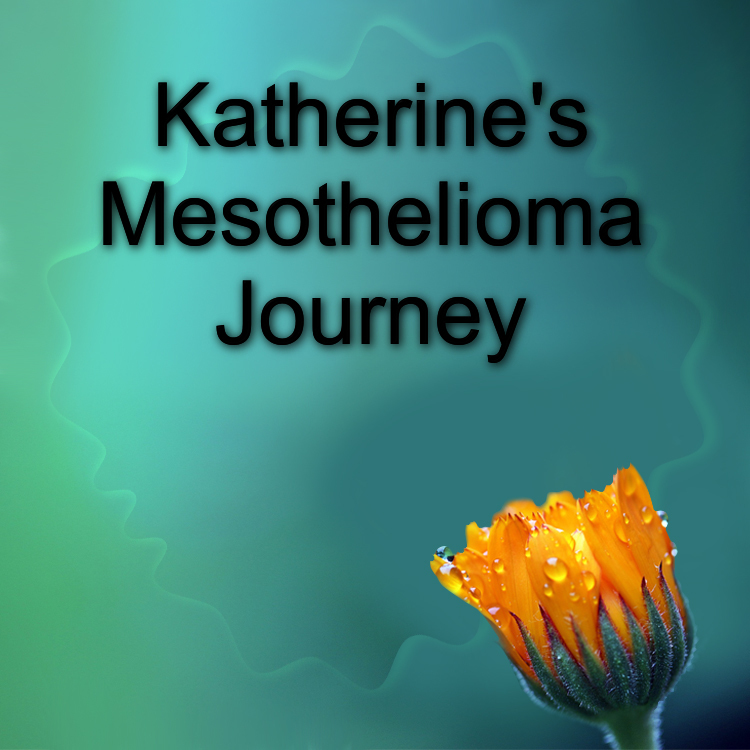 It took Katherine months to recover from the extensive surgery and to go through the radiation treatments. She then had to adapt to life with just one lung. She also had to get monthly checkups and screenings for cancer. The tumors were gone and had not returned a few months after the surgery, and finally a year later. At this point Katherine was considered to be in remission. Effectively, her medical team had cured her cancer, something extremely rare with mesothelioma at any stage. Katherine is now living ten-plus years after her diagnosis, a diagnosis that came with a two-year survival rate at best as a prognosis. She has some serious limitations now, as she gets older and faces life with only one lung, but she is mostly just thrilled to be alive and to have beaten a cancer that is so tragic for most people who have it. Katherine beat the odds and she knows it. She enjoys her life now, even with her physical limitations, and feels grateful and lucky to have more time to spend with her family and friends. That's a miracle. We are hearing so much about this disease now. Absolutely. I think more knowledge is good. There are still so many people in South Africa that don't know, or care how dangerous asbestos can be. It is still a roofing material on so many existing buildings over here. I remember playing outside, and old asbestos roofing materials had just been left there in the open. Now I know better and avoid the stuff. You are very welcome. I just hope this information is of help. Like I mentioned to Alex above, not everyone (in fact few people) over here knows how bad the stuff is. My uncle yelled at me when I mentioned that he's living in a house with an asbestos roof and that it could be dangerous to his health. He thought I was making it up. So, I hope this post can help someone else. Thank you for your support, Hilary. As Alex said, a miracle. Thank you so much for sharing this story. I actually had never heard of this before. You are welcome. I hope it can be of help. Thank you for sharing Katherine's news, Muree. It's so important to read about this wonderful miracles. Knowledge has power.